This is the English version of an interview with Torkil Lauesen that Gabriel Kuhn conducted for the German daily junge Welt. 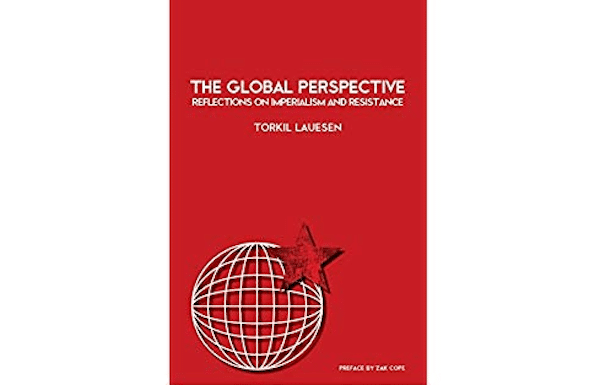 Torkil Lauesen is a Danish antiimperialist whose book The Global Perspective: Reflections on Imperialism and Resistance has recently been published by Kersplebedeb. In 1991, Lauesen was sentenced to ten years in prison for his involvement in the so-called Blekingegade Group whose activities have been featured in the PM/Kersplebedeb release Turning Money into Rebellion: The Unlikely Story of Denmark’s Revolutionary Bank Robbers. At the end of the 1980s, anti-imperialism pretty much vanished from the left’s radar. Why? Is there an anti-imperialist comeback today? There is certainly renewed interest in anti-imperialism. One only has to look at recent book releases, or at the articles published by Marxist journals such as Monthly Review. The transformations in capitalism have made global injustice blatantly obvious. In the Global North, we have become reliant on goods from the Global South: the electronics we use, the clothes we wear, the fruits we eat, the furniture we buy at IKEA–everything is produced under conditions that no one here would condone yet everyone is aware of. So it is not surprising that people take more interest in these matters again, also at an analytical level. What are the biggest differences between the “old” and the “new” anti-imperialism? National liberation is no longer at the center. The new anti-imperialism is primarily anticapitalist. Global production has strengthened the productive forces in the Global South. There are millions of new proletarians. This opens up new possibilities. There is nothing wrong with a global class analysis. But we must not exaggerate the blurring of boundaries. The boundaries are still there. In most countries of the Global South, the so-called new middle class makes up less than ten percent of the population–in many countries, far less. In the Global North, more than ninety percent of the population belong to the consumer aristocracy. There is a new underclass in the Global North, yes, but it remains relatively small. Someone living off welfare in Denmark remains in many ways privileged over industrial workers in the Global South. The modern welfare state has institutionalized the consumer aristocracy, providing education, health care, and pensions. There is no equivalent in the Global South. It is also wrong to portray the welfare state as a bulwark against capitalism. The European welfare state cannot exist without imperialism; anyone who believes so denies the realities of the global accumulation of capital. What, for example, would an independent economy of a country in the Global North look like? Who would produce all the things that people have become dependent on? How many people in the Global North are still involved in industrial production? Most work in the service industry, in design, in advertising–in jobs that are dependent on other people producing what they consume. The PKK and its affiliates now pursue an anti-imperialism that is no longer based on an independent nation state. Does this set an example?